Make yourself at home in one of the 17 air-conditioned rooms featuring LED televisions. Complimentary wireless Internet access keeps you connected, and satellite programming is available for your entertainment. Bathrooms have showers and hair dryers. Conveniences include phones, as well as safes and desks. 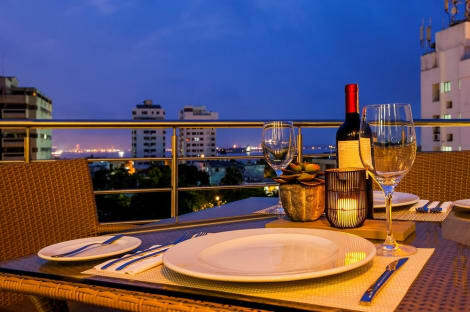 Casa de Los Reyes Hotel Boutique is located in the heart of the historic center of the city of Cartagena. This beautiful and charming hotel with romantic touches gives guests the best experience to enjoy and share at any time, rooms are equipped with flat-screen TV, safety deposit box, wireless internet, air conditioning, hot water and 24 hr front desk . Our Casa de Los Reyes Hotel Boutique is located across the street from the Vaults just 100 meters from Plaza San Diego and surrounded with nice places of interest such as restaurant, museums, jewelry and more. Our neighborhood offers a host of culture and history to share it with us. Located in Cartagena (Bocagrande), OZ Hotel is within a 15-minute drive of San Pedro Claver Church and Convent and Clock Tower. This hotel is 2.8 mi (4.5 km) from San Felipe de Barajas Castle and 3 mi (4.9 km) from San Pedro.